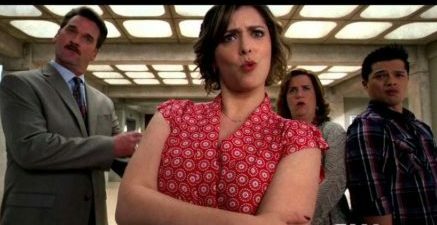 With the release of Season 4 around the corner (reported to be October 12th on Netflix) we are eager to see what is in store for Crazy Ex-Girlfriend’s protagonist Rebecca Bunch. Until then here are 7 reasons why it looks to be one of the best shows depicting life with a mental illness on TV. Successful and driven, Rebecca Bunch abandons her life and partnership at a prestigious New York law firm after a chance meeting with a former romantic interest. Bunch up and moves to the unlikely suburb of West Covina, California in an attempt to find happiness, love and adventure. 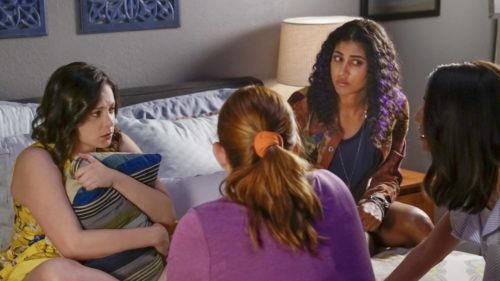 Don’t be put off by the show’s rainbow bright exaggerated musical numbers or seemingly tired rom-com style narrative, Crazy Ex-Girlfriend (CExG) proves it hosts something much deeper at its core, or as Rebecca herself sings in the opening theme song ‘It’s a lot more nuanced than that’. Many shows like the concerning “13 Reasons Why” (which prompted a response from the American Psychiatric Association to parents and mental health professionals), “Mad Men”, and “Mr Robot”, have attempted at including characters with a mental illness, with most falling flat or worse, further stigmatising those living with these conditions. The identities of these characters are usually defined or dominated by their mental illness and consistently in a negative way. Here’s where CExG is different. Rebecca isn’t a villain or a victim. There are layers of complexity to her character. She’s intelligent, she’s successful, she’s funny, she’s – for lack of a better word – ‘normal’, as are all people with mental health issues. However, Rebecca, like many of the other characters in the show, has flaws and struggles but these are not her defining traits. They are combined with a kaleidoscope of other aspects of her personality that coexist alongside her difficulties. She performs well in College, gets along with her colleagues, and is able to go to work. However, when she’s dealing with a lot of anxiety, these ‘normalities’ are affected and it is only when her symptoms are triggered do we see her suffer. In portraying the many layers of Rebecca the show illustrates perfectly the complexity of people, the humanity of people. Unlike other shows that spend the length of their airtime building up to the erratic downfall of their mentally ill lead, purely for the sake of a plot line, the first two seasons of CExG are spent building up compassion for Rebecca as a complex character with some very obvious “quirks”. Even when we see Rebecca turn on her closest friends, try to take her own life, and embark on revenge after being left at the altar by her supposed soul mate Josh, we can still empathise with her when she reveals the true severity of her symptoms. We see her closest friends band together for her when she needs help, but not without some honest truths that would resonate with many people who have supported someone in distress. Her former enemy-come-close friend Valencia asks Rebecca to promise she’ll never attempt suicide again, to which Rebecca, in a marvellously realistic move, replies is a promise she can’t make. Even then where one would expect anger and frustration all we see is compassion, sorrow and worry for their friend. When Rebecca refuses to truly confront her issues we, as a viewer, feel the frustrations of her therapist, who literally breaks out into song when Rebecca finally admits to her concerning behaviours. Some people experience resistance when first coming face to face with their issues but, as they build up trust with their mental health professional, they may become more comfortable dealing with difficult experiences and discussions. One need only look to Netxlix show “13 Reasons Why” to see how damaging TV depictions of suicide can be. In CExG, while we do see Rebecca’s suicide attempt, which would be discouraged by media guidelines on portraying suicide, we also see everything that led up to it. We see her mounting stress and increasingly consuming mental health issues come to the fore. We see her instantly regret her decision, an instant moment of clarity that was inspired by discussions the creators had with suicide survivors who all said they instantly regretted the decision to take their own lives. We also see her guilt in the aftermath and her asking for, and getting, help – all in detail. So again, this is a more realistic depiction of the complexity of suicidal ideation and how it can manifest in many different ways. For many people who experience mental illness receiving a diagnosis is, for many reasons, welcomed rather than dreaded. Receiving a diagnosis means you can connect with others with the same experiences as you and get support and advice from your peers. It also puts many at ease that their illness is not imagined. Receiving a diagnosis can also mean the beginning of ‘fixing’ oneself. All of this is made obvious in the optimistic song ‘Diagnosis’, where Rebecca giddily sings about receiving a new diagnosis after years of mis-diagnosis and her excitement at finally getting a label that fits (and thus meaning she’s not alone, not ‘broken’). This she believes will solve everything, when the reality is very different. In its determination to accurately depict life with a mental illness CExG doesn’t allow Rebecca’s new diagnosis to be the switch that fixes all her problems. When a person receives a diagnosis the illness doesn’t magically disappear, just because they’ve found the right label for it. It is just the beginning of learning to actually live with and manage the illness. Rebecca demonstrates this journey in an almost painfully accurate way, when the first thing she does after receiving her new diagnosis, despite the advice of her doctor, is google it. After being told she has Borderline Personality Disorder, which was only revealed in season 3, Rebecca doesn’t like the stigma associated with it and becomes desperate for a new diagnosis. She doesn’t want to have to work at managing it for the rest of her life, because it does actually require work. But this is the tough reality for many living with mental illness or any other illness that affects your life: you can’t pick and choose how your mind and body experience it and recovery takes time and effort. Stigma is still one of the main factors globally inhibiting understanding of mental illness. Not only is the show relatable for those living with mental health issues, it is also helping those who don’t understand what that experience is really like, something many have been calling for from tv for a long time. 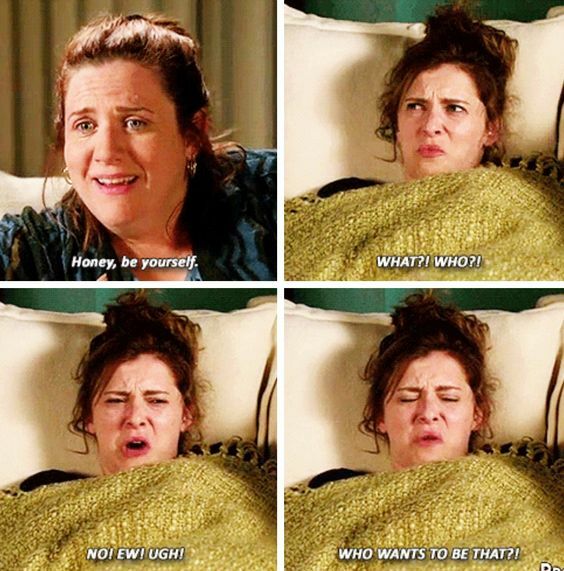 Hopefully other creators will take note and learn from Crazy Ex-Girlfriend’s example. The end result of a show like this will hopefully be further public understanding and reduction in stigma towards mental illness and ensure that those who are actually dealing with these illnesses don’t feel ‘othered’ by media portrayals of them.